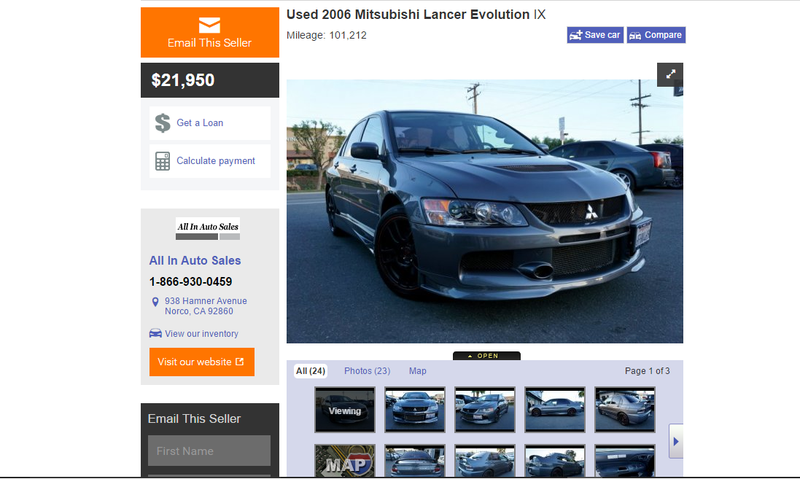 Mitsubishi Evo prices are stubbornly high. You can barley find one anymore that hasn’t been touched by the terrible hand of aftermarket people that have no idea what they’re doing. 10 years old with over 100k on the odo and its nearly 22 grand. They only get more expensive as you get newer. Some have way more miles than this example, are older and are nearly the same price.